Hello there! I am on the long drive to Utah today so I asked Aimee from Like Mother, Like Daughter to share a yummy recipe with you all! We both decided cake balls would be a great one because 1) I love them and 2) Who doesn't love them? Read on. Can I tell you a secret? I've actually never even shared this secret with Ashley! So, I've never actually met Ashley, but back in the day, a few years ago, when I went to baseball games cause I had a crush on a player and then because I grew to love baseball, and she was dating/engaged/married to a baseball player. and I never actually talked to her, but I noticed her, and she always looked gorgeous as ever. Does that make me a creeper? Maybe. But hopefully you won't think I'm too weird. Anyway, I write over at Like Mother Like Daughter, where my mom and I share some of our favorite recipes with each other and with our readers. I've always liked cooking a little, but when I started dating my husband we started cooking together at least once a week, and since then my love for cooking has only grown. At the beginning of this year I made a goal for myself to try one new recipe a week. I've done a pretty good job with this goal, and its been a great way for the hubby and I to expand our tastes and to get off the old same meals every week bandwagon. 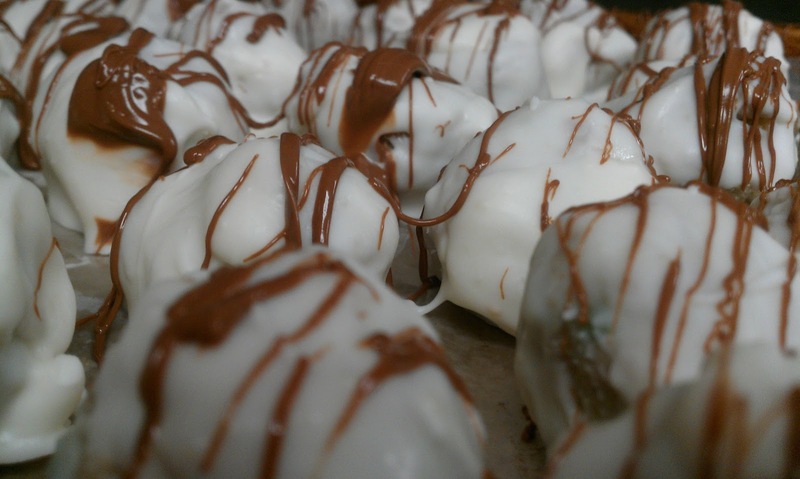 A few weeks ago Ashley asked me to guest post on her blog, and I had a few ideas of what to make, but finally decided upon CAKE BALLS. 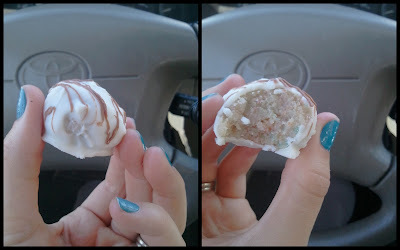 This was my first time making cake balls, but let me just tell you, they were really easy, and seriously so yummy too. This makes quite a few cake balls, so share a few with the ones you love, or make some new friends. I promise they won't be able to resist them, and they'll love you even more for it too. 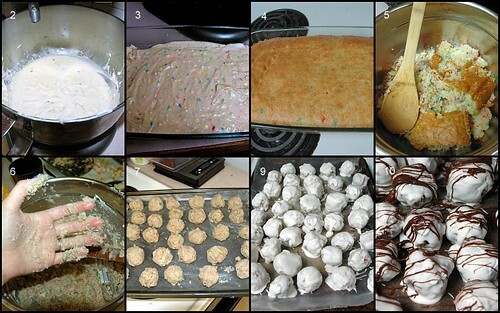 I made funfetti cake balls with vanilla chocolate coating, but another great thing about this recipe is its so versatile. The possibilities are endless, just pick your favorite cake mix, frosting flavor, and candy coating. Yum Yum! 2. Combine cake mix, eggs, water and vegetable oil in a large bowl and mix. 3. Spray a 9 x 13 inch baking pan with pam, and add cake mix. 4. Bake for about 30 minutes, or until a tooth pick comes out clean. 5. Crumble up cake into a large bowl and add frosting. Stir. 7. Set balls on a sheet pan covered in waxed paper. Freeze for about 30 minutes. 8. Melt vanilla candy coating in the microwave for 1 minute, stir, then in 30 second intervals until creamy. 9. 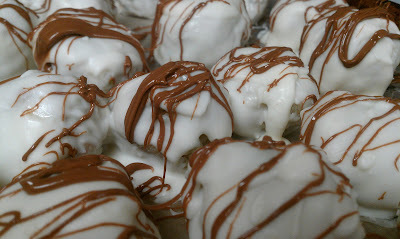 Dip cake balls into the coating, shake off excess coating and place on waxed paper. 10. Set aside for about 5 minutes. 11. Meanwhile melt chocolate chips in microwave. 12. Drizzle chocolate over vanilla coating. 13. Let chocolate harden overnight, or place in freezer for faster results. 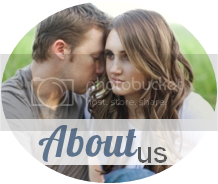 I'd love if you stop by our blog and say hello! 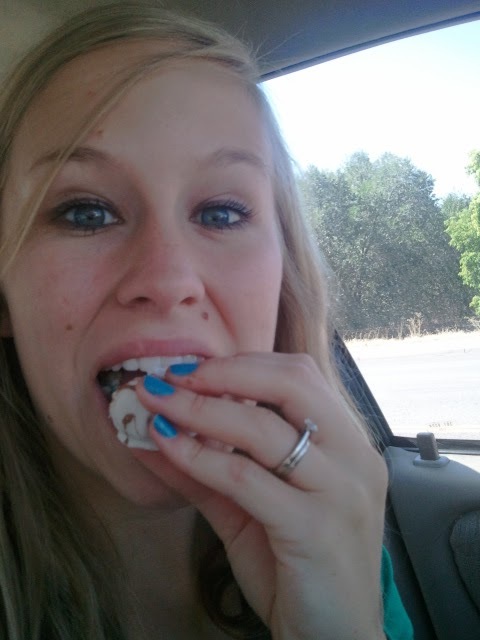 Mmm I love cake pops. I make them all the time and people go crazy for them! The only downside is they're a little time consuming. Oh man... My sweet tooth just went crazy! I need some asap!! Holy Yum! I love funfetti cake! Wow, these look amazing. It makes me think of a ball of cookie dough. Oh my! This makes me starving!!! Thanks for sharing! Yummy! I might try those for GaVen's pirate party. The would make great canon balls! These look AMAZING! I need to make some for a party or something. I guess I need an excuse to throw a party! Haha. Also, I really should do the one recipe a week thing. Such a good idea! Yum yum! Gosh it's hard to diet when you see posts like this. Hi! I'm Nicole from Romanian Princess. I love your blog. I'm your newest follower, I would LOVE it if you'd follow me back! those look so good! ....mmmm! oh goodness. those things are my weakness. Ohh I need these! Thanks for the recipe!